1) Target a niche. A very common mistake among aspiring interior designers is that they try to do too many things at the same time. They end up not getting hired because potential employers can’t pinpoint the fields where they’re good at. With that said, you have to focus on a specific niche. There are several interior design styles you can choose from: modern, minimalist, contemporary, industrial, mid-century modern, traditional, transitional, bohemian, and Hollywood glam. Choose the style that’s most relevant to your skills and education background and focus on it. When you make it to an interview, it will be easier for you to sell yourself. 2) Network like crazy. Knowing the right people is one of the keys to landing a good interior design job. In this day and age wherein everyone is online, it’s so easy to connect with people in the industry. Use online platforms like social media sites, forums, and blogs to reach out to important players in your field. Another great way to network is to attend as many design-related events as you can. These events often have job fairs where you can interact with potential employers. 3) Create a professional-looking online portfolio. This can be in the form of a blog or a website. The number one thing that employers look for are samples of your work so be ready to provide one when asked by an interviewer. If you are just starting out without any paid experience, you can upload design concepts or ideas that you’ve come up on your own. 4) Advertise yourself. The goal here is to drum up as much attention as possible to yourself. This is called branding and it can be very effective in getting the attention of potential employers. The best way to do this is to set up a regularly updated blog or website then promote its content by being active in social media sites. You can also try paid advertising if you have the budget for it. Online advertising these days can be very cheap. Just make sure that you are buying ad space from sites relevant to interior design. 5) Try cold calling design companies. Many aspiring interior designers dread this strategy because it’s intrusive. However, it can be very effective if you know how to sell yourself the moment someone from the company picks up the phone. Design companies don’t always publicize job openings. If you call to inquire about openings and there happens to be one, that’s when you make your pitch. It’s a bold tactic that requires confidence. Finding a good job in the interior design industry can be difficult considering the competition and how choosy companies are in sifting through applicants. However, you can significantly improve your chances by being more creative in your job hunting approach. Following the tips discussed above would be a good start. Security jobs are one of those careers that are not popular among locals in Malaysia, and therefore are ‘outsourced’ to foreign workers, mainly from Nepal. However, working in the security line is a perfectly legitimate job that pays fairly alright and is often open to locals as well. Most agencies professionally train their security personnel to face all sorts of critical situations and to make split second decisions that are vital to everyone’s safety. These training programs are usually carried out by ex-military or policemen, making the training regime very demanding both physically and mentally. This will ensure that only the most fit and suitable candidates can pass the demands of being a security guard. Many security guards work 12 hour shifts and if you plan to be one, you have to accept these long hours. Often, you will be required to work at night and into the wee hours until dawn. As such, it is good to have a flexible internal clock and no health issues as this may complicate things. In order to qualify as a security guard, you cannot have a criminal history or be charged and convicted of any crime. Careful background checks are often performed by agencies to ensure you have no connections to criminal organizations. Unfortunately, those who have a shady background are usually not hired. Candidates with a military or police background are always more favoured as potential security guards as they are seen to have more discipline and experience. In the past few years, more and more security guard agencies are beginning to realize the importance of paying their employees well as it inspires better performance and loyalty. As such you don’t have to see salaries that are minimal anymore. Most agencies also take into consideration that local employees need to grapple with an ever increasing cost of living. Therefore, pay scales have improved much from the past 5-10 years. If you have plans in the future to join a career in the army or police force, but for some reason did not qualify, then having the experience as a security guard does boost your chances of winning a place. In fact, working as a security guard will impress any future employer, as it proves you are trustworthy and dependable. A good stint as a security guard will definitely ensure a brighter and better future for your career. If you join the security guard profession, you will find that there are different types of security guards, including those that guard neighbourhoods, banks, commercial buildings, construction sites and more. Not all of them are trained to carry firearms, as most rely on only a trusty baton. A career as a security guard may be considered unconventional still, but it is still an honest and respectable job that will surely enrich your life. Vancouver is a place that is meant to be experienced, and that experience will not happen inside a hotel. However, Vancouver offers several other options for places to stay, which include: vacation rentals and vacation rentals by owner. These properties offer a taste of what it is like to be a resident of Vancouver, and create a relaxing environment for the whole family. There are hundreds of Vancouver Vacation Rentals to stay in when visiting this beautiful city. There are houses, apartments, and other homes to choose from. These properties range from $150 to $400 a night, and include 1 bedroom to 4 bedrooms. There are homes available that are in the city, but also in the suburbs which creates a relaxing atmosphere. Each of these properties welcomes family’s, as well as couples who are looking for a beautiful feel and cozy home to stay in. However, these properties are not rented by owner, but still have a homey environment. There are places close to the beach, city, and green-land area to choose from. Each property is clean, beautiful, and tranquil. If you’re looking for your home away from home in beautiful Vancouver, look no further. There are also Vacation Rental By Owner properties to choose from, to call these places home! Each of these properties are for rent by the owner, which creates the feel of a family home. There are properties available on the West, East, Central, Downtown, and South area of Vancouver. These homes range from $170 to $400 a night, and have bedding from one to four. Each of these properties are family friendly, but also welcome singles and couples. Since these properties are for rent by owner, the homes have a comfortable atmosphere. With all the properties on every side of town, there are many quieter options as well as options in the city. These homes create a tranquil environment that is the epitome of the Vancouver culture. If you are looking for a beautiful home to call yours for vacation, VRBO’s are the perfect choice, because these properties make you feel right at home and the wide selection helps find the perfect fit. Vancouver is vastly populated with attractions, sights, and culture that is inciting to the tourist. With a wide selection of vacation rentals, there is no place like home. The Vancouver Vacation Rentals are cozy, and an alternative to staying in a stuffy hotel room throughout a vacation. The VRBO’s are homes designed to make the visitor feel at ease. These properties echo the beautiful Vancouver culture, and are inviting for families of all shapes and sizes. While not all the properties are directly in the city, each one is aesthetically pleasing and has a cozy atmosphere. These homes are designed beautifully, and are the perfect place to stay for tourists of all kinds. The homes are perfect for families because they create a place to call home, while also being near all the attractions, and culture. Is A Folding Bike Right For You? Folding bikes have come a long way in recent years. Although once viewed as “gimmicky”, these days you can find a wide variety of quality foldable bikes. These bikes offer quality construction and convenience. This makes them a viable choice for commuters, and recreational users. Urban commuters find these bikes are a great way to access public transportation. You can leave your house, pedal to the train station or bus stop, fold up the bike and take it on with you. These bikes are so lightweight, and fold so compactly you can stash it in the corner of your office until the end of the day. Your car stays at home, so there is no need to pay for gas or parking. As a bonus, you get the benefit of daily exercise. These bikes are also turning up quite often at campgrounds, and RV parks. With a folding bike, you don’t need to worry about a bulky bike rack. You can easily pack one into a camper or SUV. When you arrive at your campsite you have convenient transportation, and you can enjoy the fresh air while pedalling around the campground. Urban dwellers who live in an apartment or condo may also appreciate the portability and small storage size of these bikes. No longer will you have to try cramming a full sized bike into an elevator, or dragging it up the stairs. Most foldable bikes even have a shoulder strap. This makes carrying them a breeze. So, if you’re considering purchasing a conventional bicycle in the near future, maybe you should look into a folding bike first. There are many good online resources you can check out. 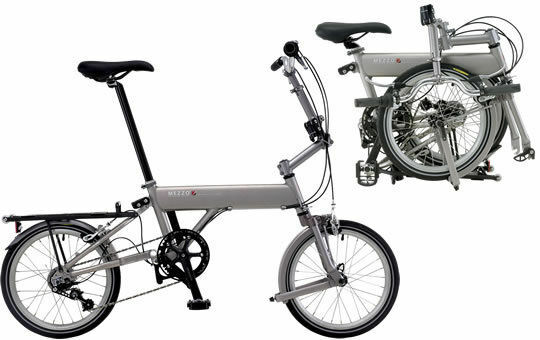 For starters visit http://www.usjcycles.com/bicycles/folding bike/, you’ll find they offer a nice selection. They may have just the bike to fit your needs. Malaysia is a nice country with plenty of places to visit or things to do in the. Travellers have not realized that Malaysia has the best tourist sites and visits in the world. The most enjoyable area that will help a tourist enjoy their stay is Penang. The island has all the fun in the world. One tip to enjoying a trip to Malaysia is visiting the Penang Island. However, the problem comes with identifying the right channel of transport; certainly Malaysia has the most affordable airlines in comparison to other countries. It will be easy to fly to other destinations because in their country everyone can fly. Taxis are present but will require negotiations to get the right price. To avoid commotions, it is advisable to use present apps which are good for a good price. Alternatively, it is wise to use buses or negotiate the prices with the taxis. That way one can have all the time to visit the most regions in the country. Georgetown has a fascinating history in Malaysia; avoiding visiting the town will be such a miss for the tourist. It is among one of the tips of enjoying a great stay in Malaysia. Never worry about finding rest because there are good rooms at Penang. All it requires is make reservations for the Penang accommodation. It comes as a convenient to allow a person to enjoy full trip satisfaction. A full life in Malaysia requires limited drinking. In Malaysia, it’s not like Thailand where one can drink all day and night the country’s fun relies on limited drinking and enjoys more milo for the country is the largest milo producer. Expect to enjoy morning breakfast from your Penang hotel booking composed of more pork. The region has more of pork and is made as such a yummy breakfast which will be enjoyable. Enjoying Malaysia is by making time to visit the attractive tea plantations also one should not forget to check on their spending to avoid regretting the tour. Some strategies to avoid undergoing extra expenses include; checking hotel prices, transportation, and the food offered beforehand. Most of the travel sites in Malaysia are not expensive, so there is no worry, and the main job should be experiencing total fun. Malaysia has great sites to explore and beautiful cultures to enjoy. Before embarking on other things, understanding the colonial roots of the country helps one in understanding the country’s culture and experiences. A visit to Malacca in the town will help greatly in this move; white water rafting, riding a trishaw and visiting Taman Negara National Park with the largest rainforest globally will have made the nicest experience one has ever had. Malaysia is fun, but the tips to the fun include checking out a variety of places in the country. It is one of the most enjoyable, most visited tour destination globally. It is more enjoyable if one is open to the culture exhibited by the citizens. Service offices have been popping up everywhere in Malaysia to accommodate the increasing number of small businesses and start-ups being built every year. Yet while serviced offices are seemingly poised to revolutionize the way companies acquire the space they need, most business owners and entrepreneurs ironically remain unaware or intentionally neglect the value that this line of service could bring in. A serviced Malaysian office pertains to any individual office space or an entire office building that is fully furnished and overseen by a management company. The said company rents out modules of the building, either whole floors or individual rooms, to other companies. Other terms used to denote this new service line include executive suite, business center, or managed office. Why Are They Superior to Traditional Office Spaces? Management companies are able to offer serviced Malaysian offices at more competitive rates and within more flexible terms and conditions as opposed to traditional leasing contracts. For a new business or existing start-up looking to expand to Malaysia, this means you virtually have no upfront costs since furnishing, equipment, and utilities are already packaged into the contract. Being able to acquire a well-known address is another noteworthy benefit of serviced Malaysian offices. You’ll be able to position your brand in Malaysia’s bustling business centre without having to fight with local competition and pay a hefty premium for even a small amount of space. The ease of transition also makes managed offices a godsend to many expat entrepreneurs. After you’ve handled the business registration in Malaysia, you’ll simply need to move into the managed space and all the equipment you need to get started is already there. If additional space is required, such as in the event that your company’s size doubles in a matter of weeks, it’s fairly easy to request for more space from the management. There’s also virtual offices provided by management companies in Malaysia. The only real difference between the two is that virtual offices have no physical space leased. Instead, it is designed to provide business clientele with communication support and tools for effective and timely response to business customers. A virtual office comes with a remote receptionist and virtual assistant. This saves you time in finding reliable front-end employees for your business. Virtual offices come as the more logical option for businesses with limited budget. The cost of renting out virtual office space comes at a fraction of the rent or lease of both traditional and serviced real estate. Similar to a managed office, you’ll also be given a prestigious physical address that can add value to your brand and make it more trustworthy to your target market. Whether you choose serviced space or virtual space, make sure to ask for professional advice with a local property agent. Not all management companies operate at the same efficiency and capacity, so it’s prudent to examine how they price their monthly rates, what services are included, and how much support you’ll actually be receiving.